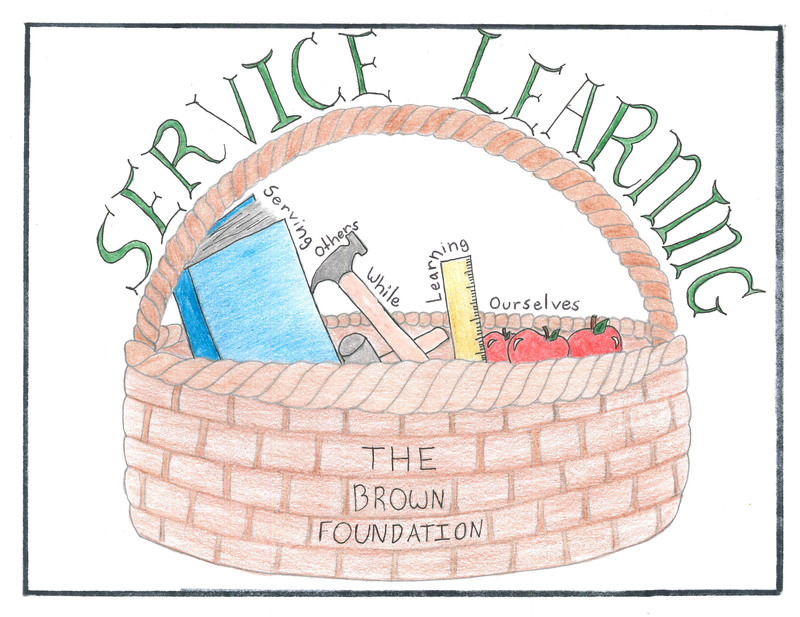 The Brown Foundation Service Learning Program sponsors an annual contest for students, grades K-11. See below for more details on participating! 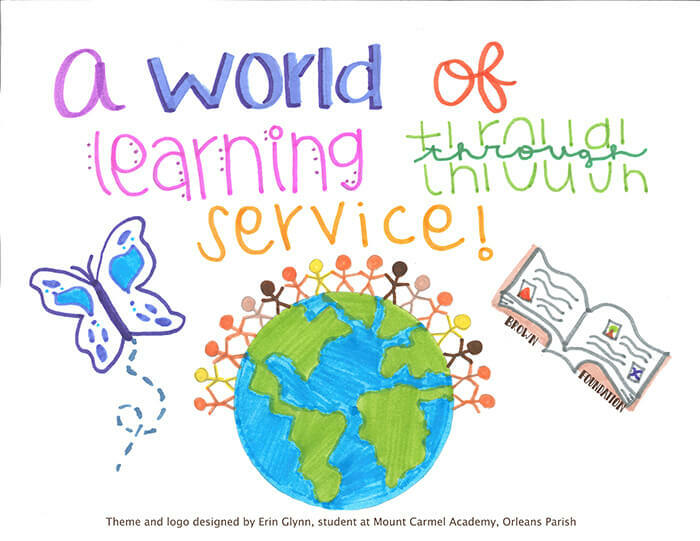 The 2018-2019 Theme and Logo Contest winner is Elsie LeBlanc, a student at Ursuline Academy in Orleans Parish! 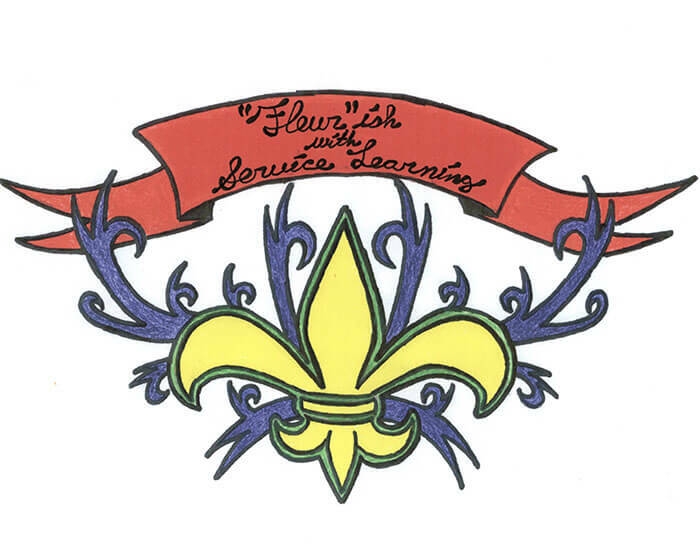 Past Themes and winning designs: "Serving Others While Learning Ourselves," "A World of Learning through Service," "Fleur’ish with Service Learning," "Dive Into Service Learning," "Reach for the Stars with Service Learning," and "Shower the Community with Service Learning." 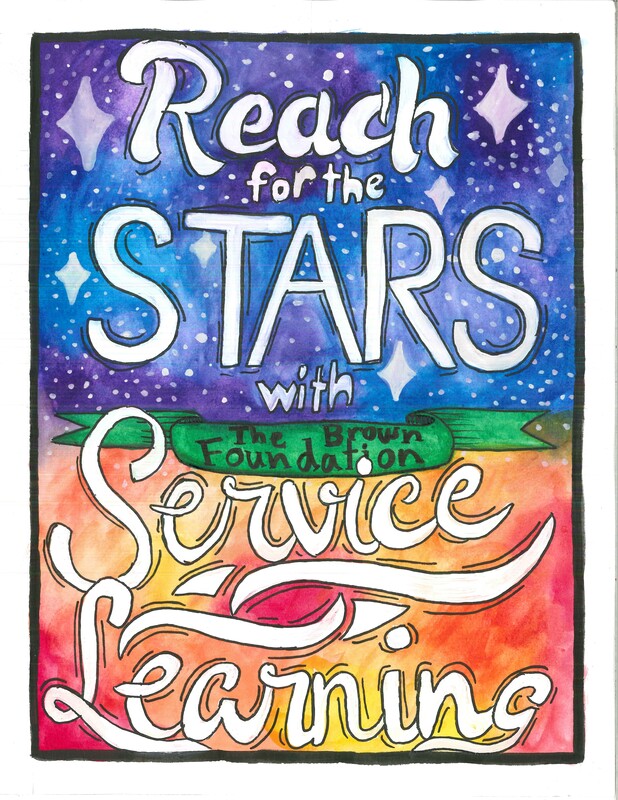 The Brown Foundation Service Learning Program selects a new Theme and Logo each year, submitted by students in grades K-11. The design may be featured on: note cards, invitations to the annual Service Learning Event, cover of binders distributed to over 400 teachers, on t-shirts and tote bags. Students in grades K-11 may create their own word theme and draw a picture (logo) to accompany the words. 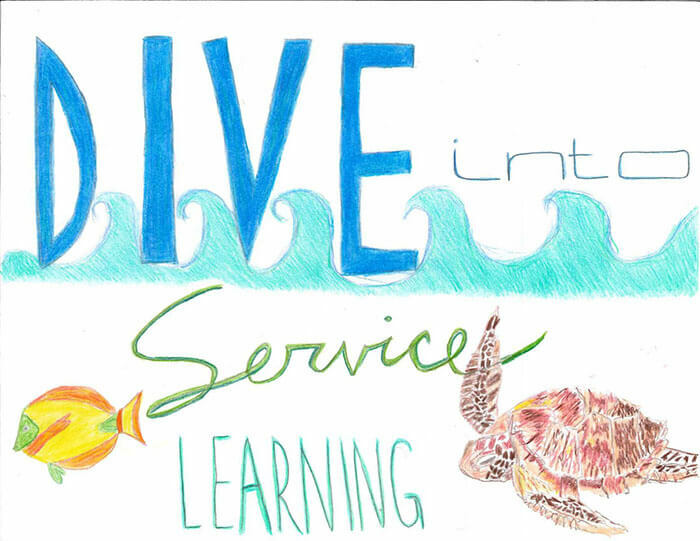 The theme should represent what service learning means to its participant. 1. All artwork is to be designed by our local, participating students. 2. 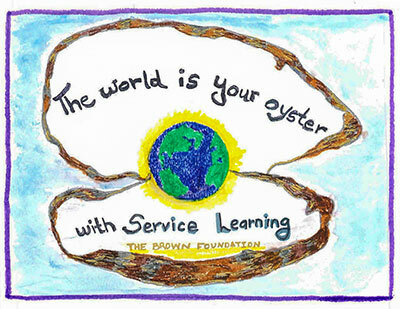 The words, "The Brown Foundation" as well as "Service Learning" must be included in the artwork. 3. The artwork must have a border (can be part of a design or in color) with at least a half inch margin outside of the border. 4. The artwork must be on an 8.5" x 11" sheet of paper in "portrait" or "landscape" mode. Please use art materials with vibrant, intense colors that produce a saturated composition. Pencil and light crayons do not reproduce well. The artwork will be photocopied and scanned. Place name of student, grade, school, and teacher’s name on back of the entry.